Two College of Natural Resources experts have recently been called to Washington DC to testify in front of congress to discuss the maintenance and future of America’s parks and public lands. Last month, Jonathan Jarvis, executive director of the Institute for Parks, People, and Biodiversity, testified on management issues that public lands face during government closures. Yesterday, Patrick Gonzalez, an associate adjunct professor in the Department of Environmental Science, Policy, and Management, testified before the House Subcommittee on National Parks, Forests, and Public Lands about the impacts of human-caused climate change on national parks. 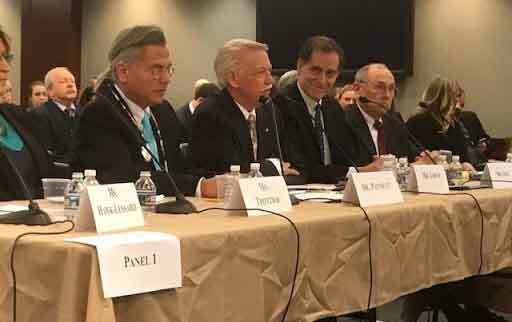 Jonathan Jarvis (second from left) testified before congress on January 12. On January 12, Jarvis testified at a special hearing of the House Policy and Steering Committee. Jarvis, a former National Park Service (NPS) director, was invited by House Natural Resources committee chairman Raul Grijalva (AZ-D). Jarvis discussed the potentially detrimental effects that a government shutdown can have on national parks and public lands. In his testimony, Jarvis described his 2013 decision to shutter national parks during a government shutdown and the issues that the parks were confronted with as they remained open during the 2018-2019 shutdown. He noted that serious management issues crop up as parks remain open during the closure, including the accumulation of trash, overflowing toilets, visitor accidents, and damage to natural resources. Jarvis concluded that these effects are needlessly harmful and aren’t in the spirit in which the parks were created or are maintained. “The decision [by the president and his administration] to leave the parks open and to furlough the NPS staff is an abdication of their stewardship responsibilities for our national parks,” Jarvis said. His full testimony can be read on the UC Berkeley website. Yesterday, Gonzalez served as an expert witness during a House Natural Resources Committee event titled “Climate Change and Public Lands: Examining Impacts and Considering Adaptation Opportunities.” Gonzalez is the coordinating lead author for the Southwest for the 2018 US National Climate Assessment and is a lead author on four reports of the Intergovernmental Panel on Climate Change. He is also the lead author of the first comprehensive study of climate change in US national parks, which found that parks are experiencing disproportionate heat and aridity under human-caused climate change. 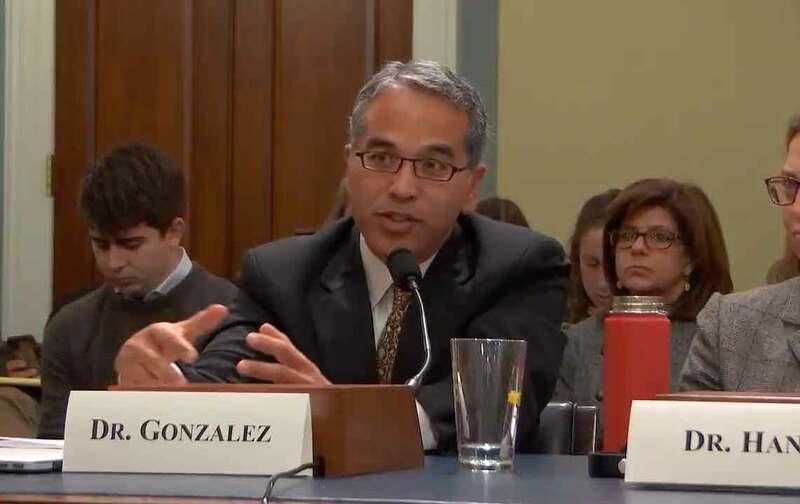 During his testimony, Gonzalez described the results of his own and his colleagues’ research and offered adaptation strategies that could help reduce the impacts of climate change in national parks. These resource management tactics include prescribed burning and designating at-risk areas as refugia. The subcommittee’s full hearing can be viewed on YouTube and Gonzalez’s full testimony can be read on the Natural Resources Committee’s website.